Oslo/Paris, 25 January 2017 – Marlink has strengthened its partnership and renewed its long-term contract for three years with humanitarian organisation Télécoms Sans Frontières (TSF). TSF is a leading NGO specialised in the deployment of telecommunications for emergency response and preparedness, in addition to ICT development to support local communities in the most isolated areas. Marlink has supported TSF with mobile and fixed satellite communication solutions that are deployed for emergency response to humanitarian crises for over 17 years. destroyed or disrupted, and mobile networks are often damaged. 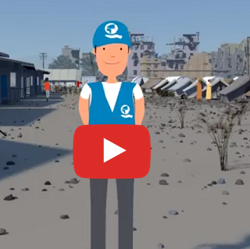 As a first responder on site, TSF supports local relief efforts and humanitarian organisations to organise and coordinate help locally by setting up temporary satcom networks that work independently of the local communications infrastructure. TSF’s unique mandate means that in addition to being called upon by the UN to aid in emergencies, it also conducts its own missions to provide aid for affected populations in the wake of natural disasters. 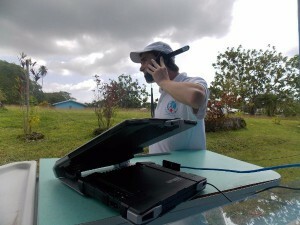 The renewed partnership ensures TSF continued access to Marlink’s high-bandwidth Terralink connectivity services using a state-of-the-art Terralink Companion mobile VSAT terminal. Value Added Services including Terravox (VOIP) and network management, Mobile Satellite Services (MSS), and M2M and Tracking services are also vital elements of Marlink’s support for TSF. Marlink will contribute financially to the running of TSF throughout the partnership, ensuring its ability to enable reliable telecommunications in remote or volatile regions, which is critical to the humanitarian response for both emergency responders and victims. Marlink’s commitment to TSF also includes training, ensuring the NGO’s ability to install and operate equipment and services, and troubleshoot technical problems during deployments.